Career is not built in a day. People work hard, practice consistently and follow the right path to achieve heights of career. If you are one of them and decided to clear SSC CGL exam 2018, you are at the right post to select best SSC CGL Books for exam preparation. We assume that you are well versed with SSC CGL exam pattern and eligibility etc. and we are coming directly to exam preparation part. We would cover books as per SSC CGL syllabus 2018. If you are in a hurry you can purchase all-time best ssc preparation material of your choice from given box. Else you can read further this post as we will move with given points. Detailed analysis of Tier 1 Books. Candidates who are applying for SSC CGL 2018 Exam will appear first in Tier I.Tier 1 of SSC CGL is of qualifying nature. Candidates need to secure minimum qualifying marks to become eligible for the next level of exam i.e. tier 2 exams. However, marks of Tier 1 will be considered for the final merit. BOTTOM LINE - Try to Score Good marks in Tier-1 to get an edge in Final Merit. Most of the online readers look for free online SSC preparation material. No doubt, you can find reading material in pdf format which you can download but give a thought on given points. i. 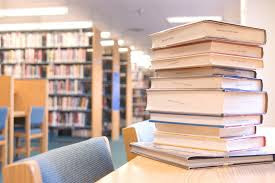 You would be investing your precious time in search of those free reading material for which you are not sure whether they would meet the quality standard or not. ii. Think about a piece of time, you would waste in organizing that scattered study material. iii. Every time it’s not possible to read in soft format therefore, you would go to take a print of those pdf also. iv. Even after doing all above things, you cannot get everything free which fit all requirements. So, it’s always better to purchase good books for preparation of exams. Books come in an organized format. In your race to clear SSC CGL exam, you are not running alone. A large number of aspirants are also preparing for the same and working hard to clear exam. Your time is your money. Don’t waste it in search and download of free pdf of SSC books or other study material. Take a good book and start your preparation for SSC CGL exam 2018. Install App on your mobile and compare price on website and app before a purchase of the book. Sometimes, the price will vary. You know very well from where to purchase. How much time you would need to prepare for an exam will depend on your type. Before purchasing any book from recommendation box; check yourself. Know about your category as per categorization is given below. One book for SSC CGL will not suit all categories; as requirements will vary from person to person. Candidates who are away from academics for a long time for some reasons and forgot all basic concepts and rules need the longest time for preparation. At one hand they forgot basics and another side they need to practice all. They need to have basic SSC CGL study material to go through the concepts. They should not directly jump over preparation books. They will waste their time by doing so. They should keep patience and should revise basics of all subjects. Few candidates have a very strong base of concepts and can explain topics very well. But, they don’t invest time in practice. Somewhere they get overconfident and fail to solve question paper in given time. They should take SSC CGL exam books with lots of exercises and must solve to increase speed. Most of the candidates fall into this category because they start solving exam books without clearing basics. They give their time in practicing but fail to reach a right solution. They believe that by doing more practice they would be able to solve papers. They feel that going back to basics is wastage of time. Actually, they are wasting their precious time in solving question banks etc. if their basics are not clear. They should take a book made for concepts. Ideal candidates are less in numbers. Their concepts are clear and consistently doing practice also. They should not stop till they get success. They should take a book of SSC unsolved papers and must attempt it with a timepiece. To cover entire syllabus, you can’t rely on a single book. You have to take help of minimum three books as your preparation strategy should move via three steps. Given is a collection of best books for SSC CGL, select your first book as per your type based on clarity of concept and practice done or required. Suggests tricks to increase speed. Buy one advanced maths book with it. Missing Probability & Permutation Combination. Cost is high in comparison to Kiran Prakashan. Suitable for practice by beginners but can’t rely only on it. Questions are divided into levels to help you to move step by step. Printing quality is not good but readable. SSC CGL Tier 1 Maths Preparation Tips. ii. Take one chapter at a time to build your base. You can take help of any coaching institute or you can watch video available on youtube. Try to cover a chapter in 3 to 4 hours. iii. After that do practice with Rakesh Yadav Class notes. iv. After completing all chapters, take Rakesh Chapter wise or Kiran chapter wise. v. In the last solve previous year’s questions. Several model papers with answers are available in the market, take them for practice. Very soon we will cover books for remaining subjects. Stay tuned with us for notification 2019. Check- Railway Recruitment 2018 for more job-related books. Share your SSC CGL Preparation Books in the comment box and help us to enrich this list.